Zepnat Cycles pleased to announce the appointment of new head mechanic to our Smedley Street shop. 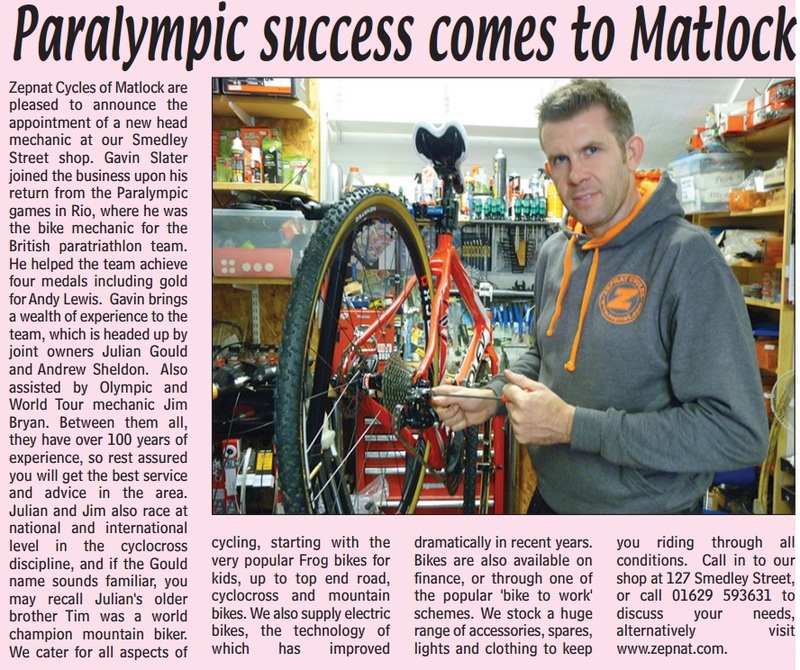 Gavin Slater joined the business upon his return from the Paralympic games in Rio, where he was the bike mechanic for the British paratriathlon team. He helped the team achieve four medals including gold for Andy Lewis.